Whatever your needs for car, truck or trailer financing in Regina, Saskatoon, North Battleford, Lloydminster, Prince Albert or elsewhere in Saskatchewan, you can count on the specialists at Wheat Country Motors! We are your car, truck and trailer loan solution. We can meet all your needs for financing and car credit in Saskatchewan. We have multiple banks available online to consider your application and actually compete for your business! 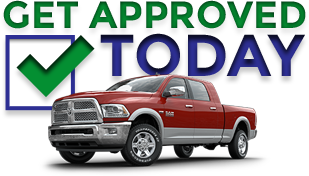 Let us work for you to get you a great rate on financing your next vehicle. All your insurance, warranty, and accessory needs can be met by our supplier. Their products are second-to-none and are sold Canada-wide by most large vehicle retailers. Warranty claims are accepted anywhere in North America! Please make use of our convenient, fully secure online credit application form to get quickly pre-approved for credit today. Our staff of friendly and qualified credit and 2nd chance credit experts are committed to offering personalized service. We treat you the way we would want to be treated!